The Boulevard Paulus Loot is the Boulevard which stretches from the Strandweg in the central area of the village towards the south to where the road bends and becomes the Brederodestraat. 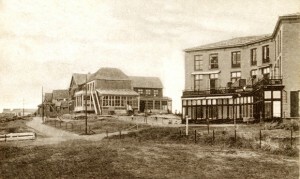 It was really after the building of important landmarks such as the Groot Badhuis hotel that new buildings began to appear on this southern stretch of the coast. Not far into the 19th century, villas were built with names such as Pension Teekman, Pension Villa Marina and Pension Villa Maris and a boulevard was soon built to connect them and this was then called Paulus Lootstraat. 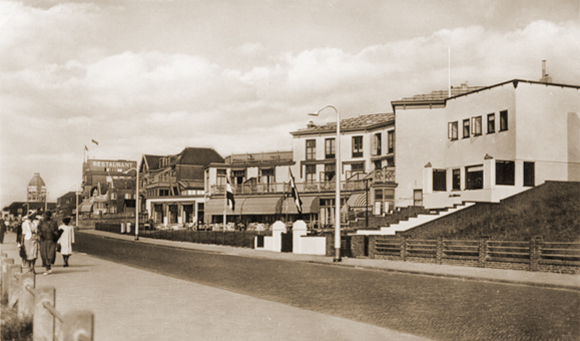 At this time the boulevard only went as far as the present-day Prins Mauritsstraat. The name was changed to Boulevard Paulus Loot in around 1900 when additional building commenced which would take the road even further in a southerly direction. The name of this particular boulevard refers to the merchant Paulus Loot who in 1722, bought the seignory of Zandvoort at a Staten van Holland auction for 10,500 guilders. He was the Lord of Zandvoort from 1722 to his death on 17th October 1753. He ensured that Zandvoort occupied its present area by purchasing further pieces of land. His remains are buried in the Nederlandse Hervormde Kerk in Zandvoort in a burial chamber which he had built for himself, and his name has now become inextricably linked with the town.